Feel the power of nature - stomp through the fresh snow and enjoy the winter sun - this is the pure romance of winter. Easily reached on foot, Leogang's Steinbergbahn lift allows alpine sports fans to ski in ski out and is the perfect way to access the Skicircus Saalbach-Hinterglemm-Leogang-Fieberbrunn. Excellently situated in Austria's most beautiful winter wonderland, the PURADIES ski in ski out hotel and holiday chalets has countless opportunities for excursions for both leisurely hikers and mountain sports enthusiasts. 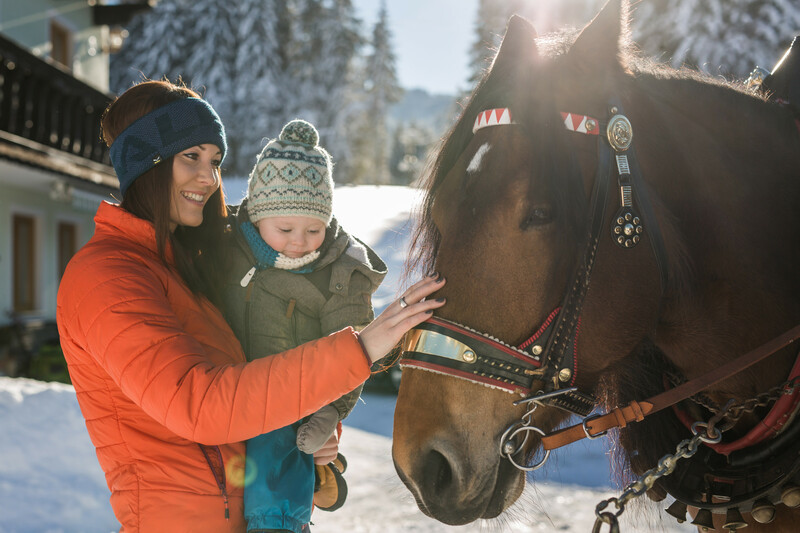 Your winter excursion begins at the sprawling recreational area of our mountain hotel and takes you to the grandiose, snow-covered landscape of Leogang's Steinberg mountains. No unnecessary effort needed! 70 ski lifts transport you towards the steel-blue winter sky and to the mountain summits and their deep snow. Here you can enjoy Austrian specialities such as sweet yeast dumplings and cheese strudel in the rustic ski huts and soak up the lovely alpine winter sun whilst relaxing on a comfortable lounge chair. Don't mind the cold! Take in the one-of-a-kind view of the Leogang mountains directly from the fantastic spa of the PURADIES mountain hotel and holiday chalets. Surrounded by the fragrant, warm spa atmosphere, immerse yourself in a winter holiday full of pure relaxation in our "INNERE MITTE" sauna house. The Glemm Valley is a hot spot for freeriders, freeskiers and ice climbers. Experienced mountain guides will take you to an extreme mountain sports arena with the proper technique, best equipment and necessary respect for the raw alpine winters in Leogang. Quench your thirst for adrenaline and push yourself to your limit in Saalbach-Hinterglemm. When the full moon is high in the starry night sky and the snowy scenery in Leogang reflects the cool rays of light, the contours of the Salzburg Alps shine with their flawless beauty. Experience the magic of the full moon on a winter's night with a romantic sleigh ride on the Asitz mountain in the Austrian Alps. A light banner of powder snow wafts from the wood shingled roofs of the rustic holiday chalets across the 500,000 m²-large PURADIES resort. A perfect impression of an absolutely peaceful winter in the mountains. Shielded by the mountain massif of the snow-capped Alps, no sound penetrates the sun-drenched high plateau of the PURADIES hotel and holiday chalets. 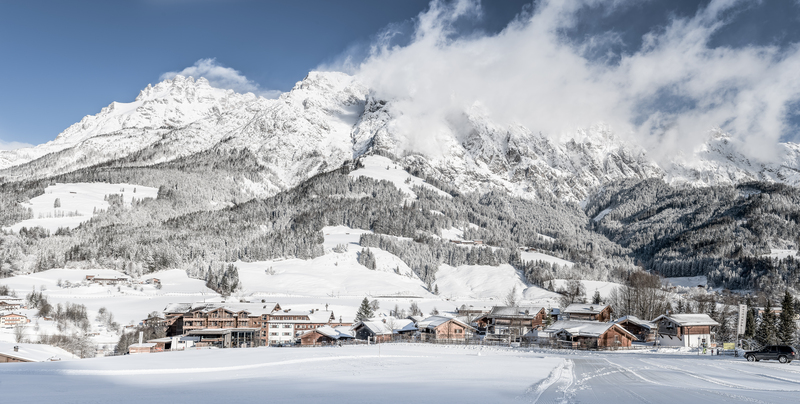 We continue the exquisite winter serenity with private ski runs that take you right from our resort and holiday chalets to the spectacular Skicircus Saalbach-Hinterglemm-Leogang-Fieberbrunn ski resort.